Alison Welsh is Head of Fashion Research at Manchester Metropolitan University and is based within the Manchester Fashion Institute. Welsh is a fashion designer and educator with four years of departmental leadership experience. She works with communities and museums, advocating fashion and textiles as instruments for social change. Her research focuses on developing models of sustainable craft and design collaboration, to stimulate regeneration of rural craft practices and their dependent communities through design initiatives with commercial outcomes. 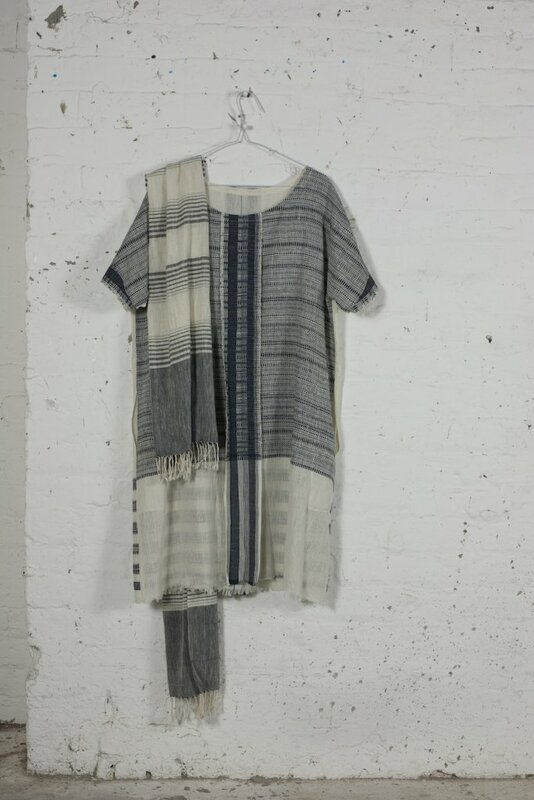 She has been collaborating with craftsmen and women in Gujarat, India for approximately 10 years. She is currently participating in a project run by the British Council in Thailand, Focusing on Design Thinking and Cultural Identities. 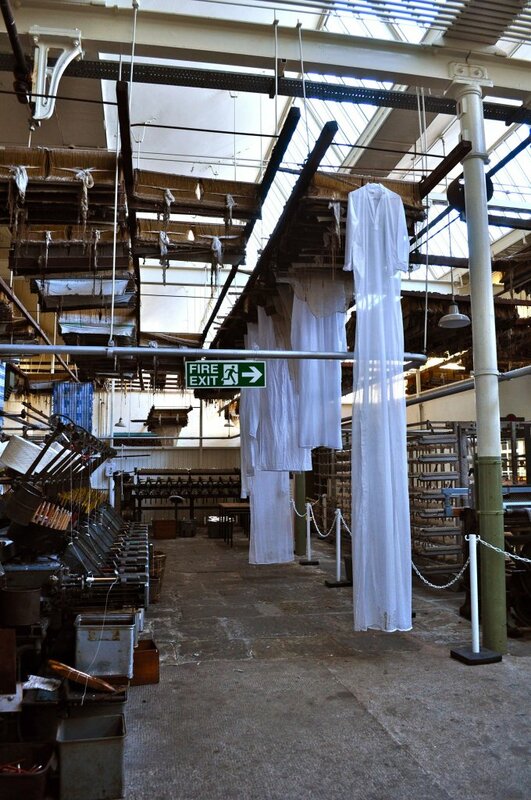 Refuge: Ropner's Ghost Ship was an immersive, multi-media installation, incorporating applique textile, light and sound, made in response to the Preston Park Museum collections in collaboration with Professor Stephen Dixon. Refuge takes the ethereal form of a merchant ship, dramatically lit from within, to evoke Teesside's maritime history and, specifically, the shipbuilding legacy of the Museum's former owner, Robert Ropner. Refuge engaged with the local history, the collections and developing an new audience for the museum. Refuge was exhibited at Preston Park Museum, Stockton-on-Tees, 3 October to 12 November 2017. It was a commission for the Arts+Heritage Meeting Point 2 programme, funded by Arts Council England. 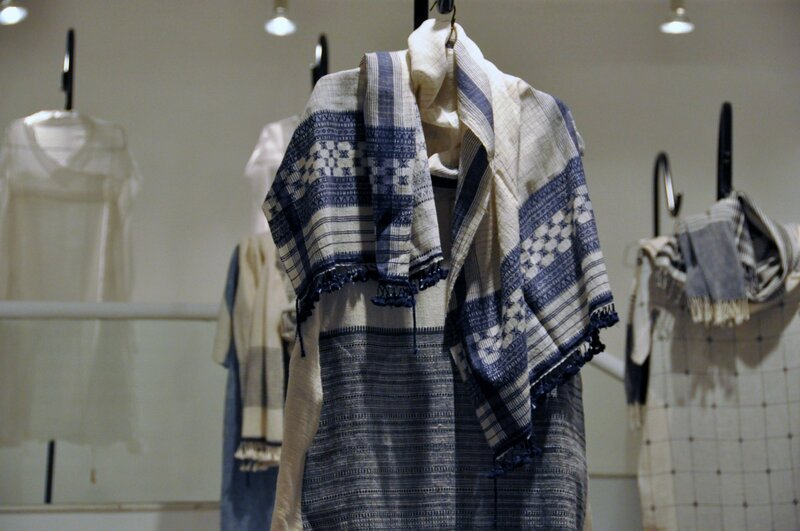 The social enterprise project Hand Made investigated the scope for developing the handmade qualities of traditional textiles and embroidery produced in Buhjodi, a weaving village in Kachchh in Northern India. 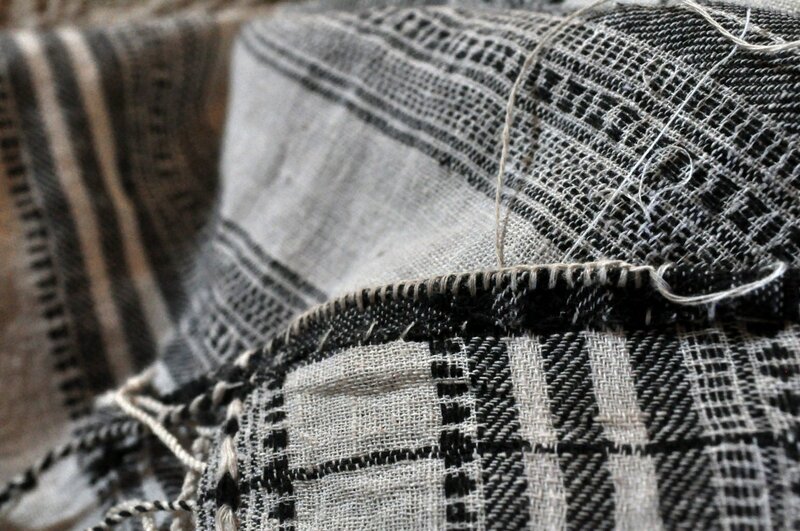 Experimental work on hand stitch methods and complex interpretations of traditional embroidery techniques were carried out by women from the Rabari community. Eliminating the use of the sewing machine and mechanical processes was central to the design process, in order to test the possibility of increasing the value of the garments and to enable the work to be undertaken in the village. The project was carried out in conjunction with Shamji Vishram Vanker and Barney Hare-Duke. 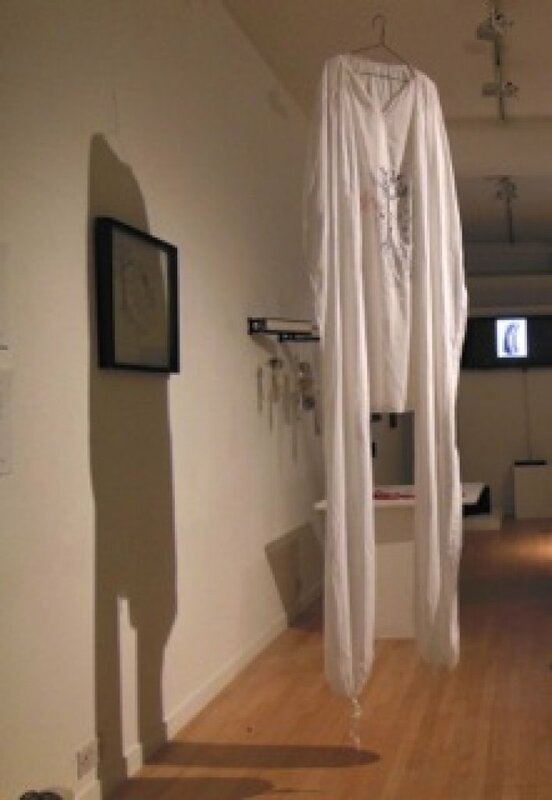 The work was exhibited at Bunka Gakuen University, Tokyo in November 2014. Supported by The British Council. In 2013 Welsh exhibited the outcomes of the long-term project Field to Fashion. 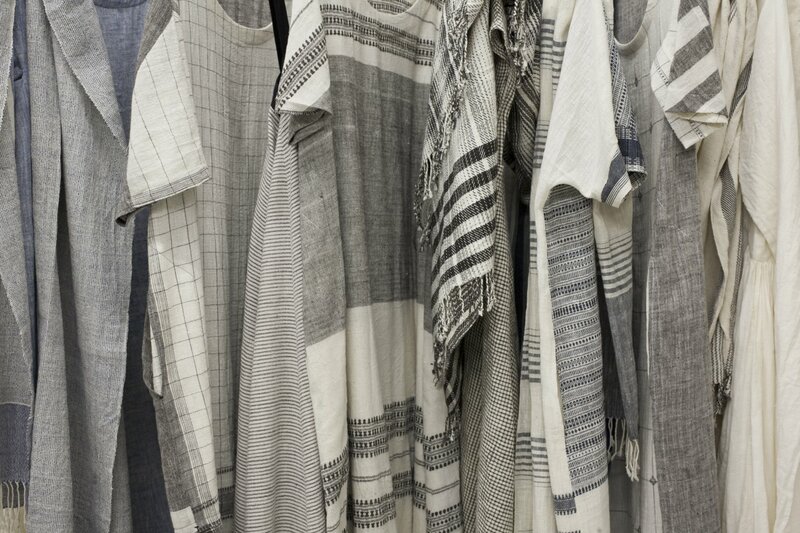 The project created an understanding of the fashion design potential of new fabrics made from 'old world' organic Kala cotton (Gossipium Herbaceum) grown in Kachchh, India. Unlike most of the cotton grown in India today, which is hybridized with other plants or genetically modified, Kala cotton is indigenous and genetically pure. 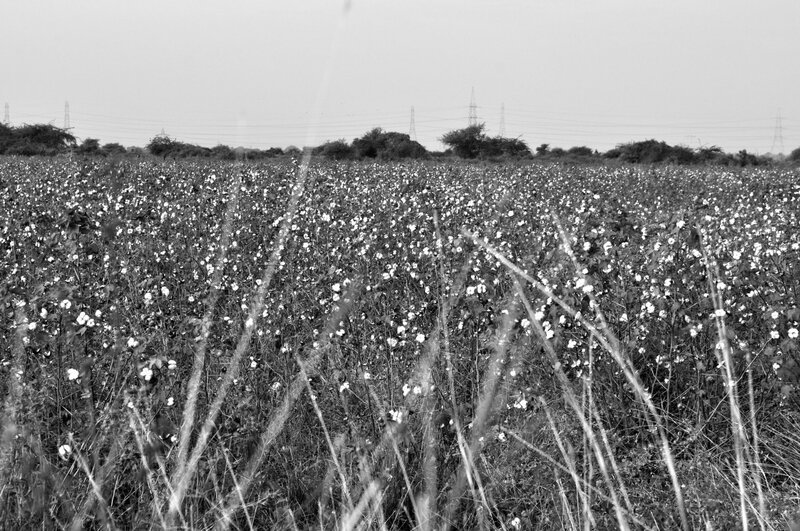 The aim of the Kala Cotton project is to re-establish a holistic approach to sustainable cotton textile production, and to find methods of adding value to a previously under-appreciated fibre. 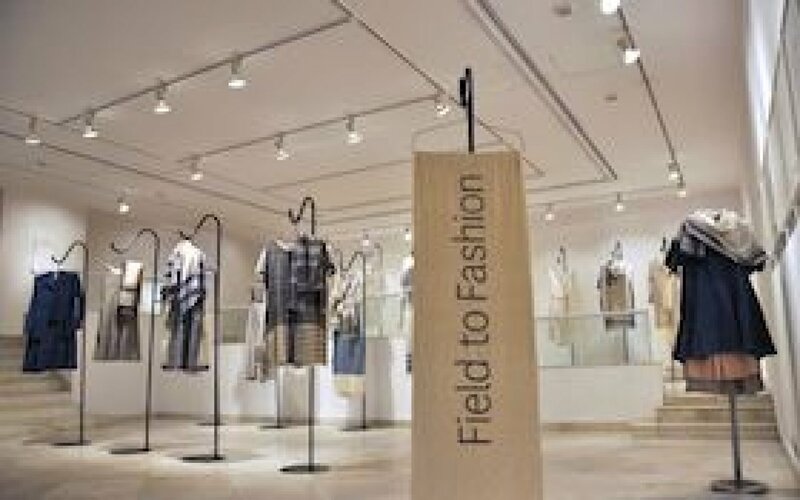 Field to Fashion established a model for collaboration between UK design and Indian crafts practices, tested through an exhibition of prototype garments at the British Council's Queens Gallery in New Delhi. 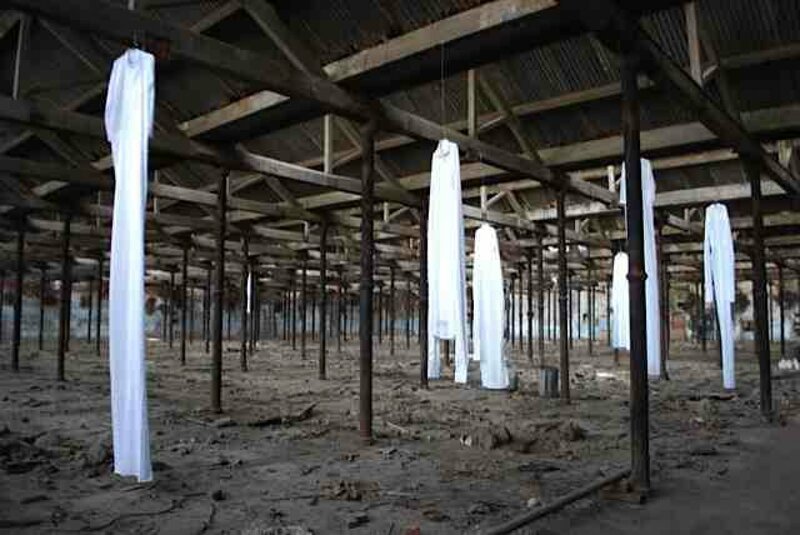 Another Peace was a site-specific textile installation based on mill-workers' garments, which examined the shared histories of cotton manufacture in Lancashire and Gujarat. 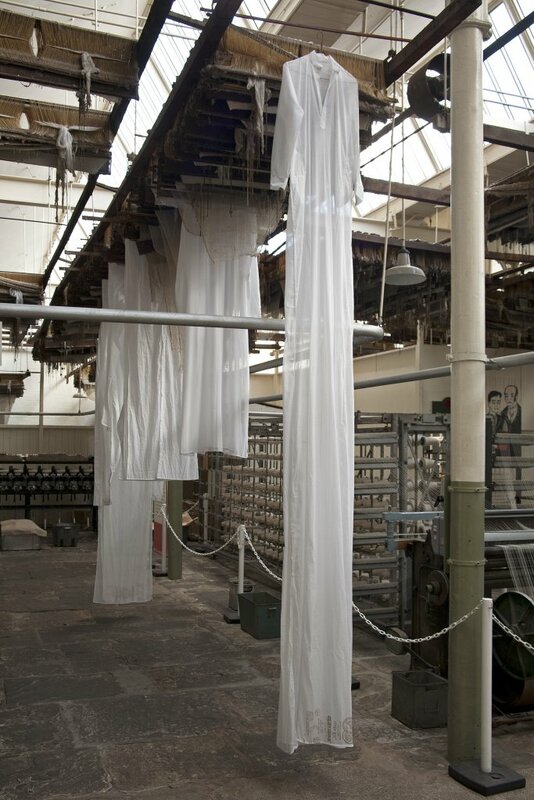 The installation was part of the Cotton Exchange: Global Threads project, which compared and contrasted the social, cultural and historical legacies of cotton manufacture and trade in North West England and North West India. Cotton Exchange was one of the strands of the major Cultural Olympiad project, Stories of the World. The project co-ordinators were A Fine Line, in partnership with ACE Renaissance. 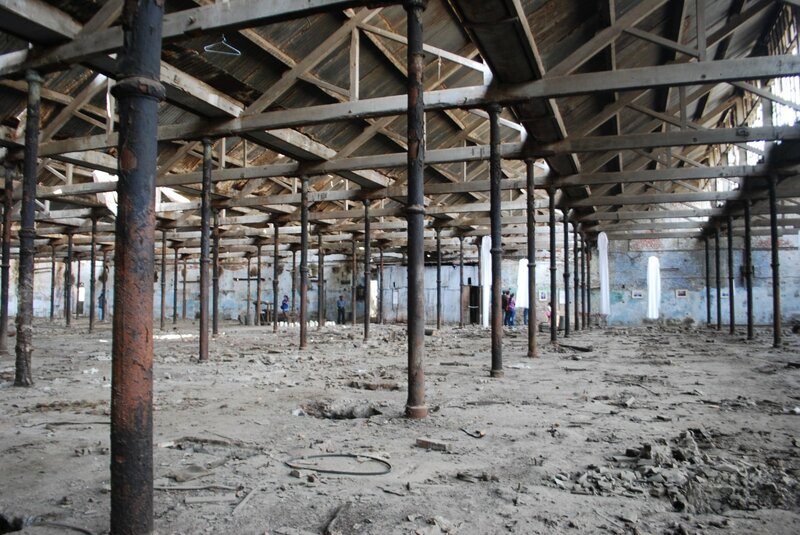 The exhibition Cotton Exchange: A material response was held in Rajnagar Textile Mill, Ahmedabad, India in April 2013. Welsh graduated in Fashion Design at Newcastle Polytechnic in 1981 and went on to work as a menswear designer in London for 10 years. She was a Trend Forecaster and a member of the British Textile Colour Group. She has a background in curriculum development and course leadership. 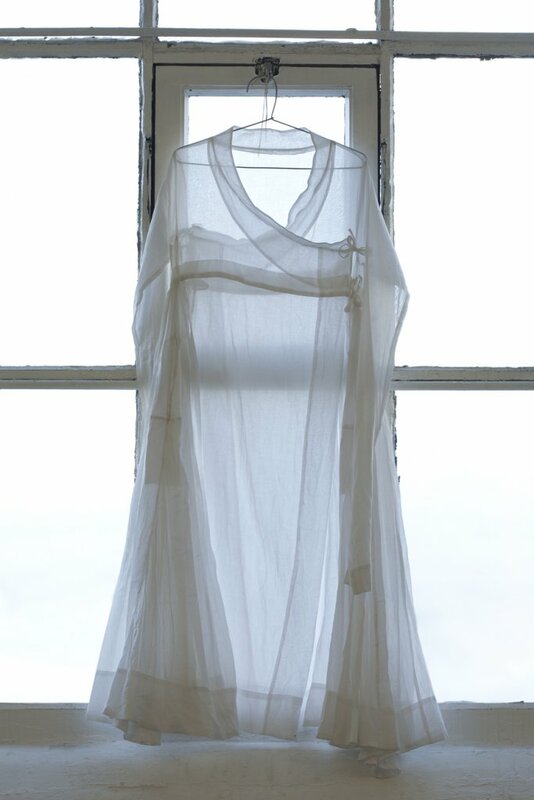 Welsh headed up the award-winning BA (Hons) Fashion course within the Manchester School of Art from 1992 until 2011 . Her PhD Students have a focus on contemporary design practice. In addition, she has been a trustee of Graduate Fashion Week since 2004. Before entering education she worked as a fashion design consultant for ten years, initially at Design Intelligence, a fashion forecasting company in London which published books predicting trends in menswear design, and then went on to collectively set up IN.D.EX a similar company based in Wapping, specialising in Menswear. In this role she also undertook work as a design consultant with clients such as Levi's and Nike, forecasting fashion trends for colour and menswear. My research is practice-led, developing and testing collaborative models for sustainable craft practices through field research in India. 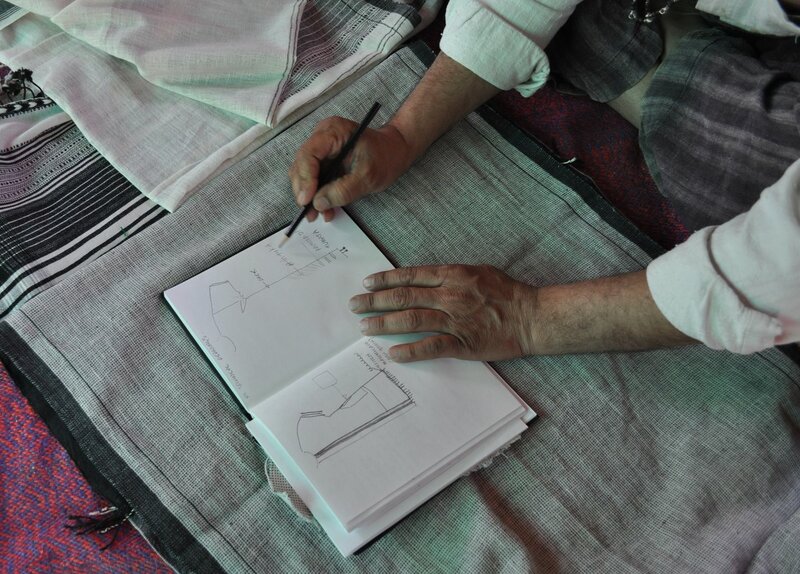 I have collaborated with HEI’s, NGO’s and individual crafts workers in India, in a series of projects that have built incrementally and contributed to social and economic impacts on the crafts workers of India and Thailand. These projects are primarily disseminated through public exhibition, both nationally and internationally. I was previously employed within Manchester School of Art, where I was the Principal Lecturer for International Development, and prior to that I was Programme Leader for the BA (Hons) Fashion course for almost 20 years. I have been a practicing designer since graduating from Newcastle Polytechnic in 1981. Before entering education I worked as a fashion design consultant for ten years, initially at Design Intelligence, a fashion forecasting company in London which published books predicting trends in menswear design, and then went on to collectively set up IN.D.EX a similar company based in Wapping, specialising in Menswear. In this role I also undertook work as a design consultant with clients such as Levi’s and Nike, forecasting fashion trends for colour and menswear. I am a trustee of Graduate Fashion Week is one of the world’s most important sources of new talent for the global design industry. Fashion supports 797,000 jobs domestically alone, contributing £26 billion to the economy. Graduate Fashion Week is a crucial part of the dynamic – fuelling innovation in all parts of the fashion business. Welsh, A. (2018) Lucie Rie, Ceramics & Buttons. Exhibition at the York Art Gallery Lucie Rie: Ceramics and Buttons. Welsh, A. Chadprajong-Smith, J. (2018) Fashioning Tradition: The Tai Lue Project exhibit At the State of Fashion. Searching for a New Luxury Colloquium. ArtEZ Arnhem. Welsh, A. Chadprajong-Smith, J. (2017) The Tai Lue Project exhibited at the 12th Fae Gaem Mai’s Lanna Ethnic Exhibition. Knowledge and Technology Centre for Northern Textiles, Chang Mai University Convention Centre, Thailand. 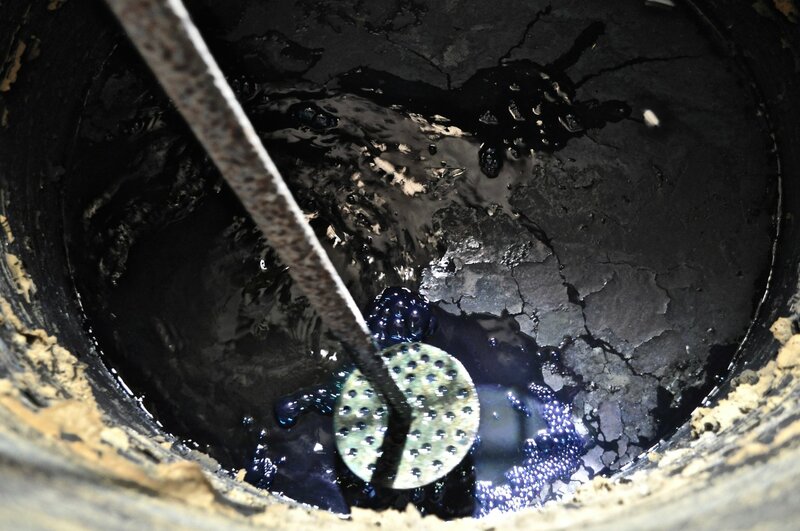 Welsh, A. Indigo: the promise of more alchemy. 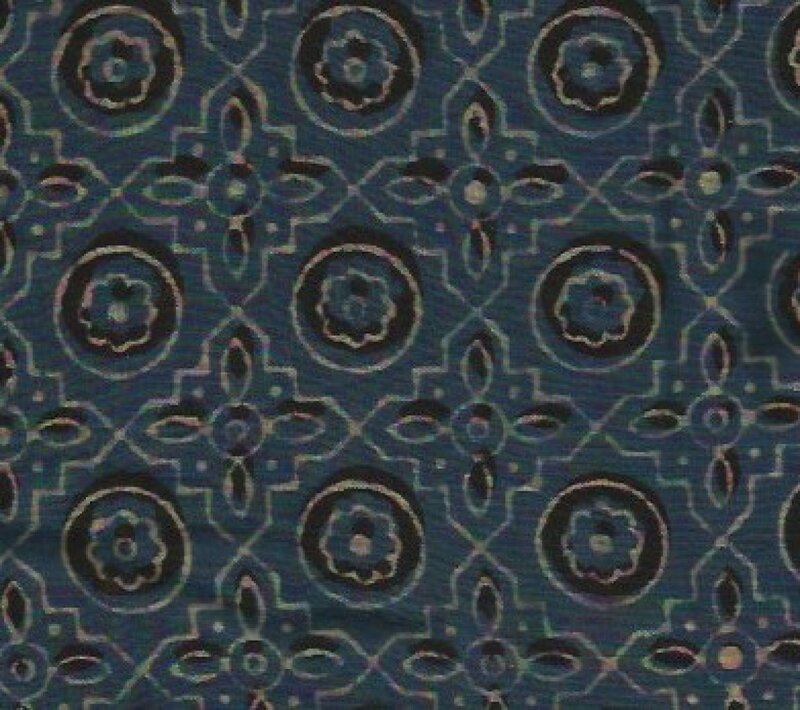 INTERSECTIONS // Collaborations in Textile Design Research. Loughborough University London. 13 September. Welsh, A. (2014) Hand Made. Bunka Gakuen University, Tokyo. Welsh, A. Vishram, S. (2013) Field to Fashion. Queens Gallery, British Council Gallery, Delhi, India. Welsh, A. 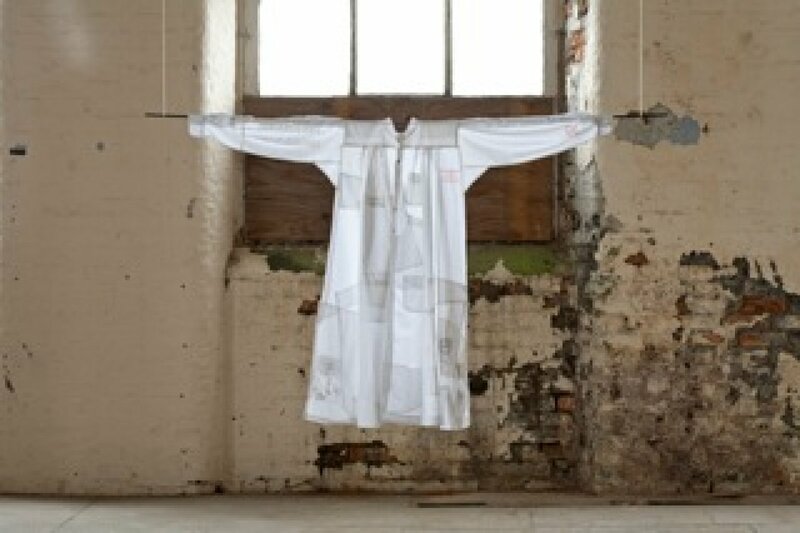 (2013) Cotton Exchange : a material response. Rajnagar Textile Mill, Ahmedabad, India. Welsh, A. (2012) 1900. Beijing Fashion Art International Exhibition. Central Academy of Fine Art, China. Welsh, A. (2007) Manchester: Our Tradition is Innovation Guangzhou Academy of Fine Arts, China. 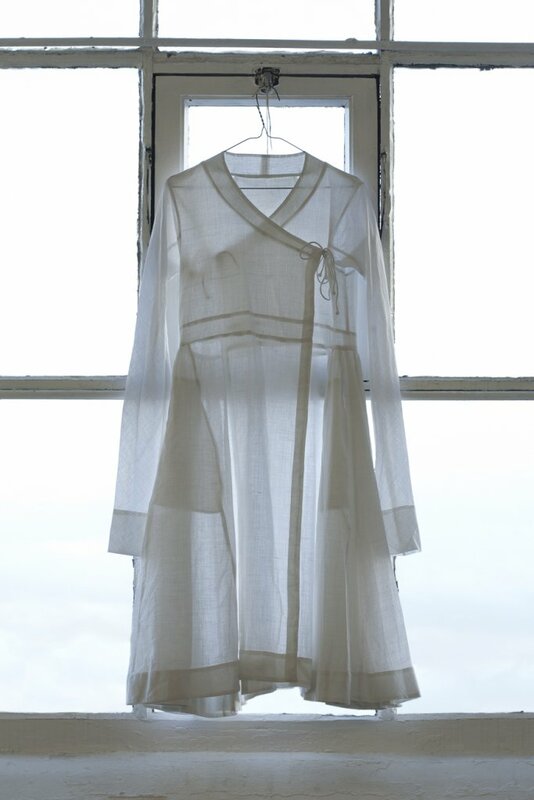 A. Welsh, J. Chadprajong-Smith Fashioning Tradition: The Tai Lue Project. S. Dixon, A. Welsh Refuge: Ropner’s Ghost Ship: engaging with contemporary issues in the site-specific context of the museum. Manchester School of Art. Manchester Metropolitan University, 12/4/2018. A. Welsh Handmade: a collaboration between Guajarati crafts and contemporary fashion. University of Antwerp, 23/11/2016. A. Welsh Translating Tradition. University of Huddersfield., 6/1/2013. Dixon, S. Welsh A. (2018) Refuge: Robert Ropner's Ghost Ship. Textiles and Place Conference. Manchester Metropolitan University & the Whitwoth. 12th April. A. (2016) Handmade: a collaboration between Guajarati crafts and contemporary fashion, 4th NWFashion Conference. Local Fashion Communities. University of Antwerp, Belgium.Hare-Duke, B. Dixon,S. Hare-Duke, B. Dixon, S. Welsh, A. (2014) Here and There and Back Again. Annual Symposium. South Asian Arts Group. Manchester Metropolitan University. Welsh, A. 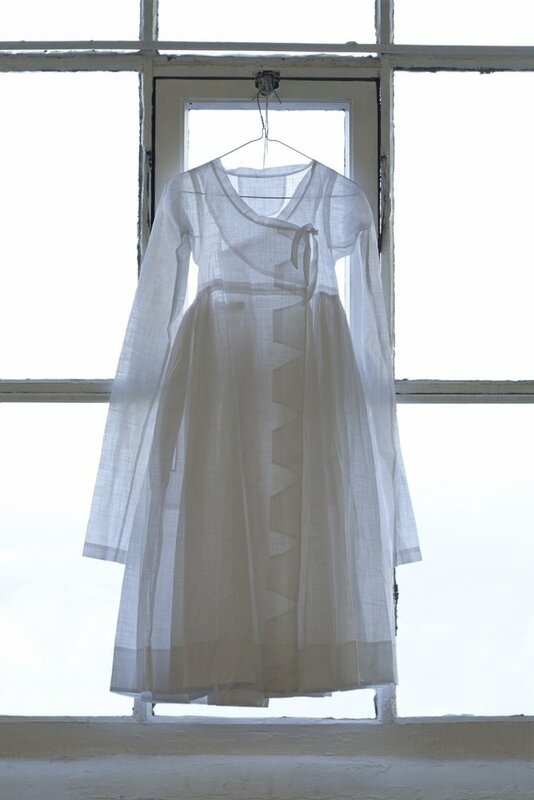 (2013) Translating Tradition, Creative Pattern Cutting Conference Huddersfield 8th February. 2017 The Tai Lue Project, Thailand, British Council funding. 2016 Hand Made, Apparel Research Group Funding. Antwerp. 2014 Hand Made, MIRIAD Large Bid Research Award. India. 2013 Another Peace, Cotton Exchange, Arts Council England, Renaissance Project funding, UK & India. 2010 New Silk Rd, British Council funding for a cutural exchange to Kazakhstan. 2007 Arts Reverie Design Camp, Arts Council England. G4A, A Fine Line and MIRIAD. 2005 Salvage, Crafts Council/DTI grant. Tokyo. Japan. 2005 Salvage, MIRIAD Research Award. Japan. I have been a trustee of Graduate Fashion Week since 2003; a charity that was launched in 1991 as a forum to showcase and promote the best of BA graduate fashion design in the UK. Recently Graduate Fashion Week has also developed a new website and blog to promote student employability. Catwalk exhibition: Welsh, A. (2016) Indigo. 18th International Foundation of Fashion Technology Institutes Annual Conference. International Foundation of Fashion, Beijing. 12th – 16th May. Exhibition: Welsh, A. (2016) Indigo. Fashion is a Force for Good. Manchester University. 12th October. Paper: Welsh, A. (2016) Handmade: a collaboration between Guajarati crafts and contemporary fashion. 4th NWFashion Conference, ‘Local Fashion Communities’, University of Antwerp, Belgium. 25th November. 2. Publication: Dixon, J. (2014) Hand Made. Manchester Metropolitan University. The social enterprise project Hand Made investigated the scope for developing the handmade qualities of traditional textiles and embroidery produced in Buhjodi, a weaving village in Kachchh in Northern India. Experimental work on hand stitch methods and complex interpretations of traditional embroidery techniques were carried out by women from the Rabari community. Eliminating the use of the sewing machine and mechanical processes was central to the design process, in order to test the possibility of increasing the value of the garments and to enable the work to be undertaken in the village. The project was carried out in conjunction with Shamji Vishram Vanker and Barney Hare-Duke. The work was exhibited at Bunka Gakuen University, Tokyo in November 2014. Supported by The British Council. Collaborators: Barney Hare- Duke and Vankar Shamji Vishram. Exhibition: Welsh, A. Vishram, S. (2014) Hand Made. 38 Garments. Supported by The British Council. Bunka Gakuen University. Tokyo. 18 – 26 November. 1. Publication: Dixon, J. (2014) Hand Made. Manchester Metropolitan University. 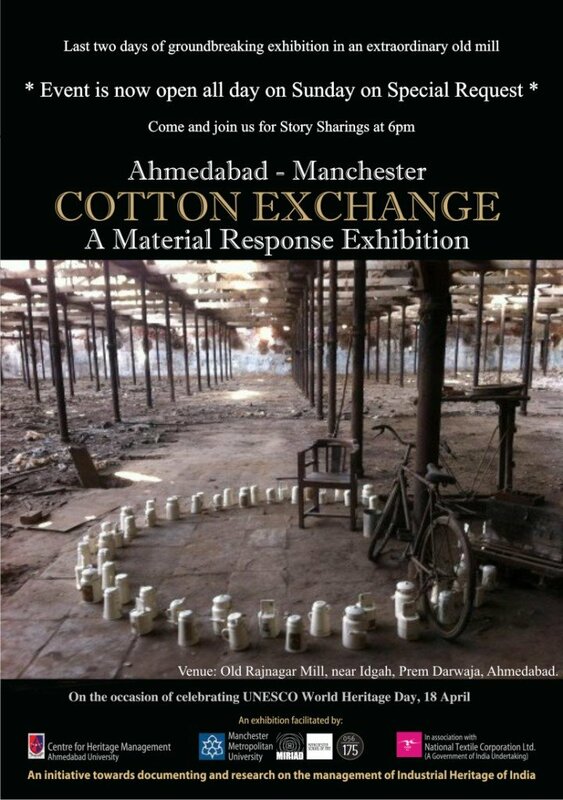 2013 Another Peace, Cotton Exchange at Rjnagar Mill, Ahmedabad. India & Queen Street Mill Burnley Lanchashire. 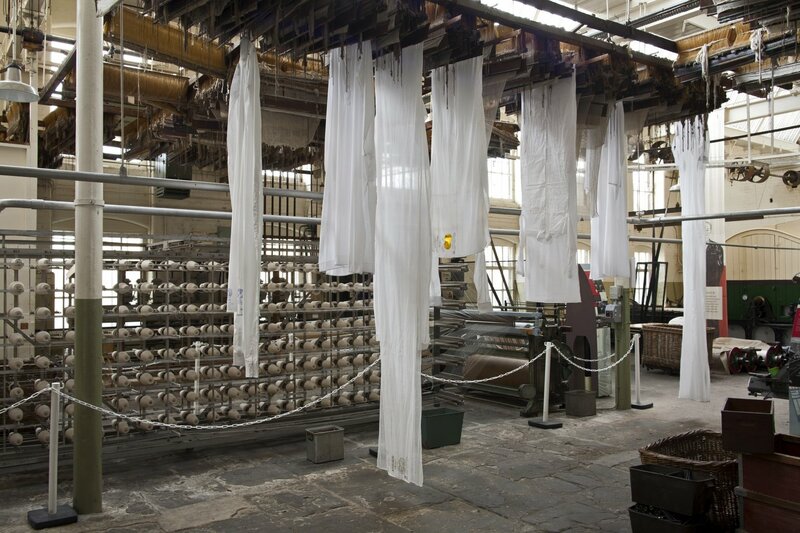 The installation is the outcome of MIRIAD research undertaken within the Cotton Exchange project, which examined the social, cultural and historical legacies of cotton manufacture and trade in North West England and North West India. Cotton Exchange operated within the context of a larger collaborative project, Global Threads, one of the strands of the Cultural Olympiad project Stories of the World. 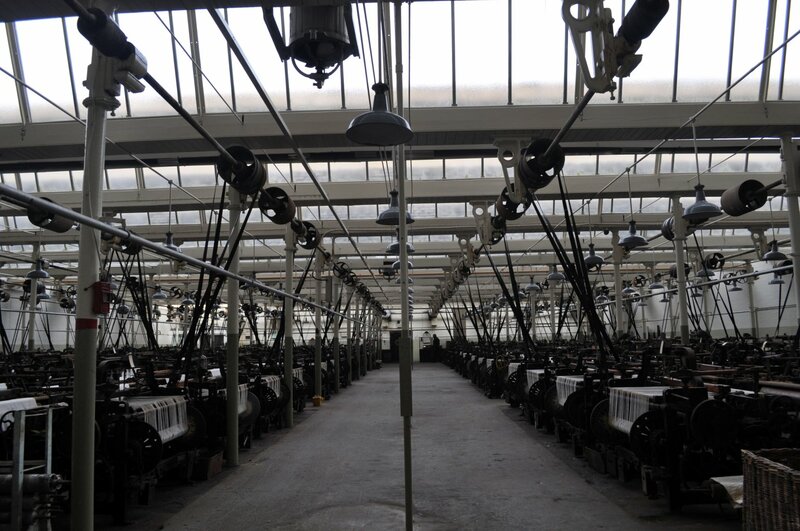 The award of an AFL* residency within Cotton Exchange enabled me to undertake a research visit to Ahmedabad, to gain insights into the decline of the cotton textile industry in Gujarat, and examine the parallels with Lancashire. This was followed up by research within the archives of Lancashire Museums, specifically Queen St. Mill in Burnley. Another peace builds on collaborative research methods developed in earlier projects (e.g.Translating Tradition, 2010). 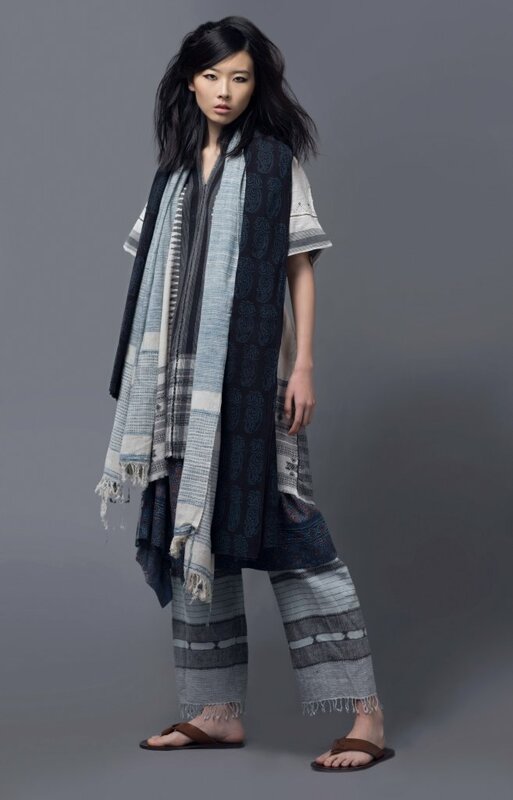 A series of over-long shirt-forms were commissioned from specialist tailors in Gujarat and Lancashire, and made from fabrics sourced in India, bearing the commercial stamps and printed labels that document their manufacture and trade. 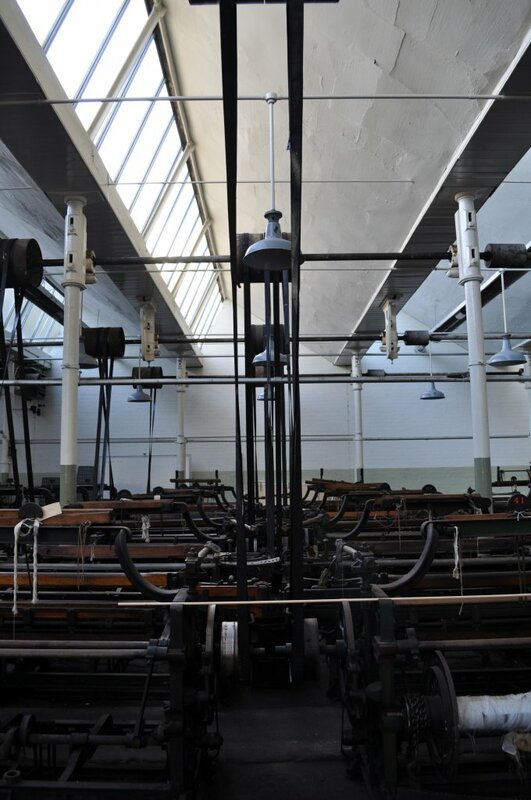 These shirt-forms were interspersed between the weaving loom ‘heels’ hanging from the ceiling of the spinning shed at Queen St. Mill. 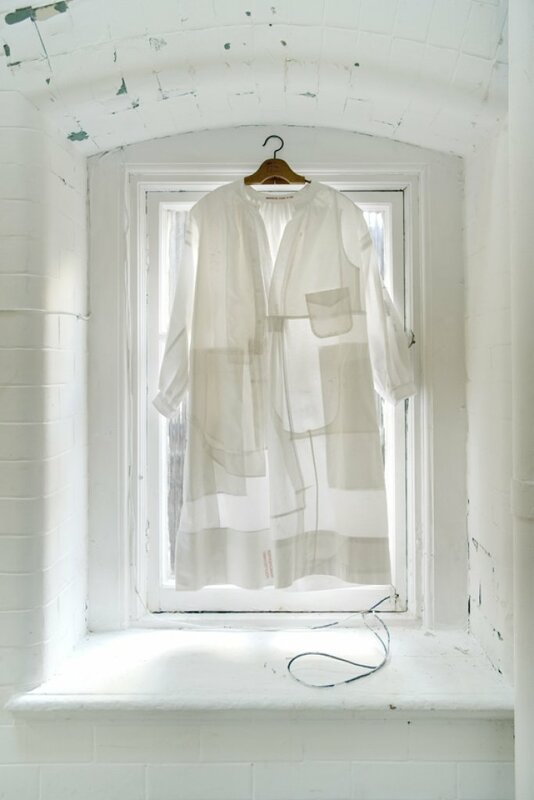 The translucent and ghost-like shirt-forms embodied ‘memories’ of garments worn by the cotton mill workers of Ahmedabad and Burnley, emphasising the absence of human presence in the contemporary textile mill environment, common to both Lancashire and Gujarat. * A Fine Line, project co-ordinators, in partnership with ACE Renaissance Project. 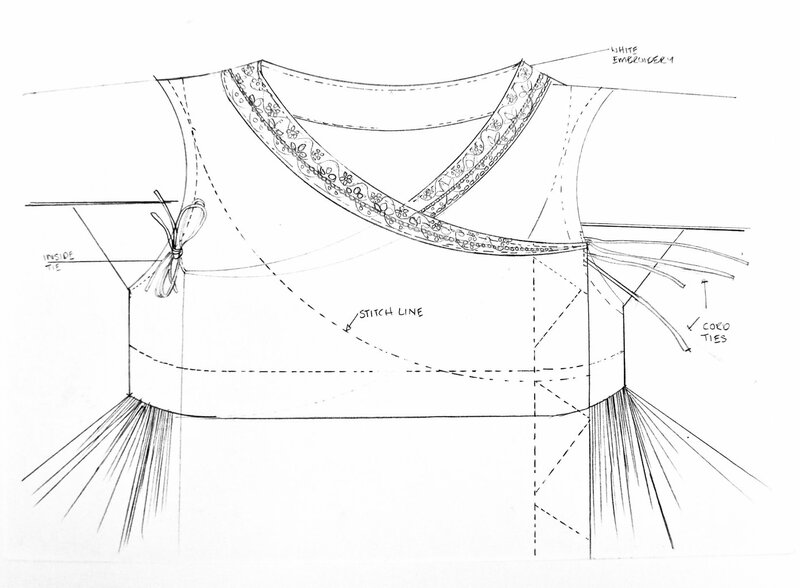 Translating Tradition examined the pattern cutting methods used to construct traditional Gujarati menswear costumes; jamas, kedyuin and angarakhas. The project asked the question; how might Indian tailors interpret and respond to a contemporary western translation of traditional Indian garments? Preliminary research into traditional Indian costume was undertaken in the Asian Department of the V&A, the Calico Museum of Textiles in Ahmedabad and the Pahari Miniature Paintings Collection at the Gujarat Museum, Ahmedabad. My intention in Translating Tradition was to examine the intricacy and subtlety of the garments, analysing how the jamas/angarakhas are constructed, as well as researching the cultural variations in the terminology and practices of Guajarati tailoring. I selected four tailors to construct the same prototype garment, each of which was interpreted in the context of their individual experience and sensibilities. This process exposed the different cultural and regional influences on the tailors, as evidenced in the resulting garments. 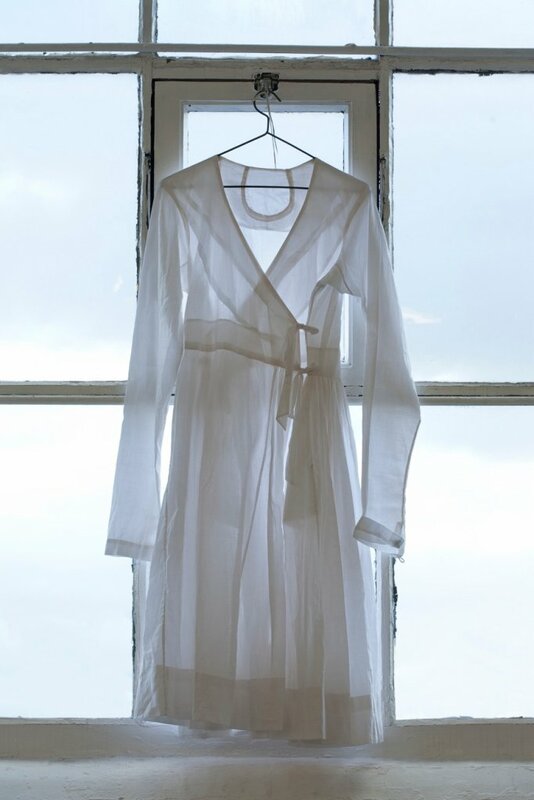 The project aimed to discover whether the design quality of these clothes appeals to a British audience, gathering feedback in Britain through public exhibition. Made For Manchester. Brochure Asia Triennial Manchester 2011. My image was used to publicise the exhibition. 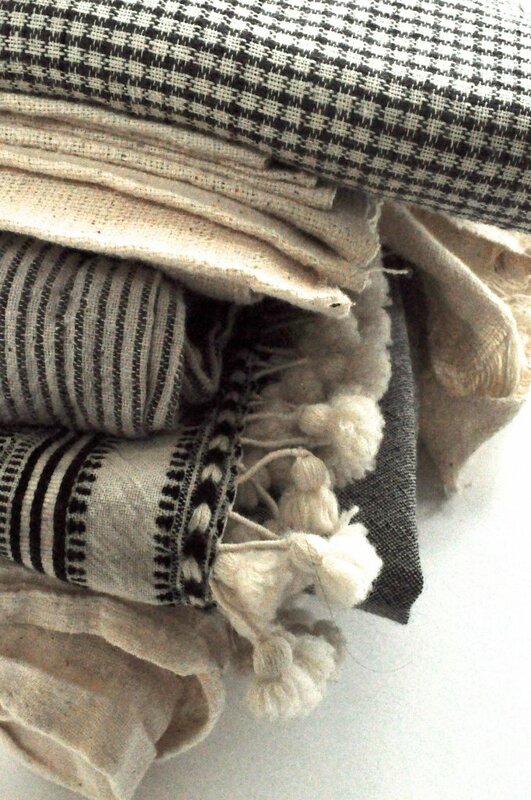 This project sets out to investigate the fashion design potential of new fabrics made from ‘old world’ organic Kala cotton (Gossipium Herbaceum) grown in Kachchh, India. 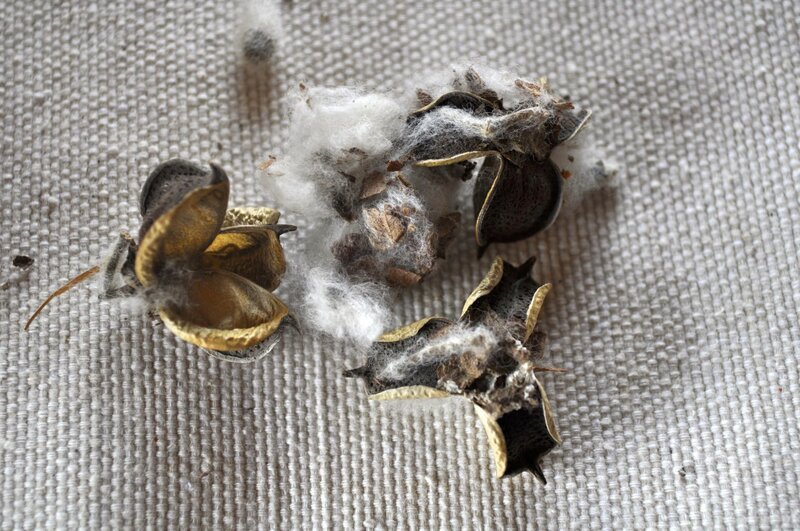 Unlike most of the cotton grown in India today, which is hybridized with other plants or genetically modified, Kala cotton is indigenous and genetically pure. 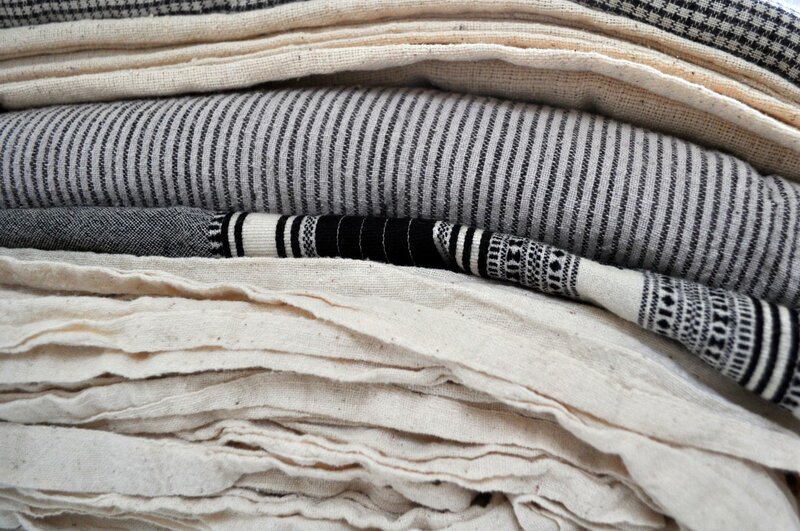 The aim of the Kala Cotton project is to re-establish a holistic approach to sustainable cotton textile production. Khamir (an institution which supports traditional creative industries, backed by Tata and the Ford Foundation) are partnering Satvik (an organisation which promotes environmentally sound farming practices) to work with local artisans to enable the profitability and sustainability of the rural creative industries of Kachchh. The Kala Cotton project is working with growers, weavers and designers to create new products from fabrics made of Kala cotton. 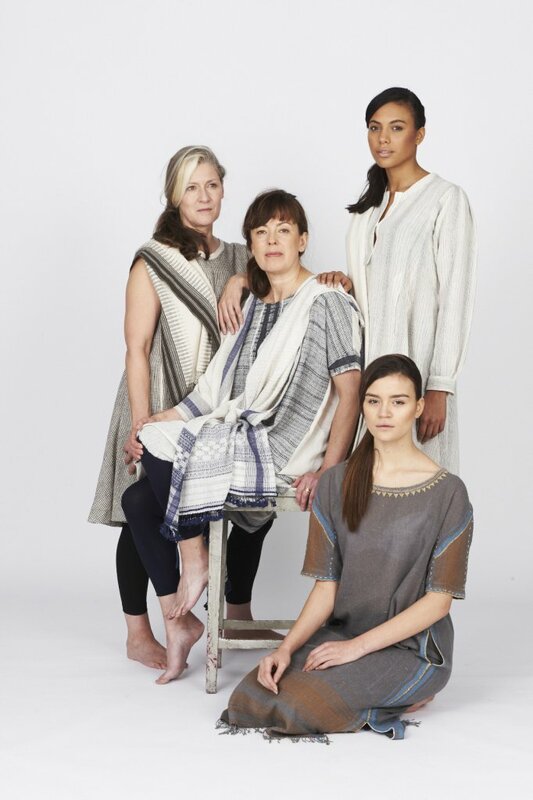 I have been invited to work with rural artisans in Gujarat to develop a range of contemporary garments to test the design potential of these fabrics . 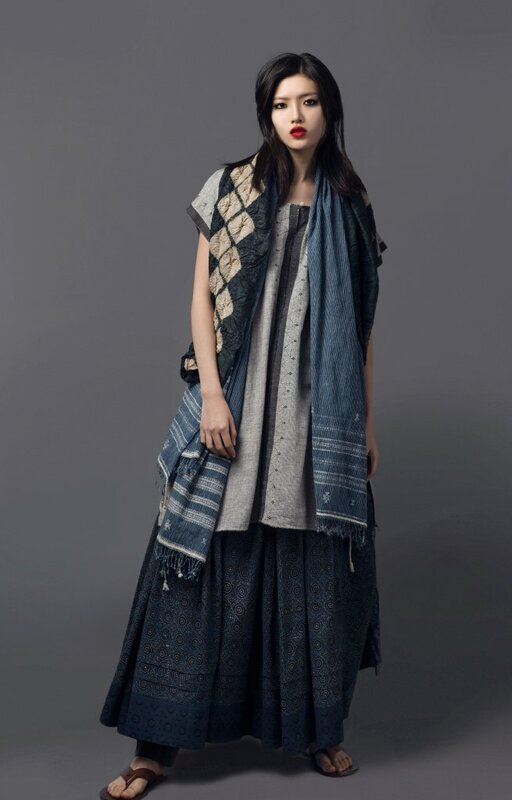 Working in conjunction with Bhujodi master weaver Shamji Vishram Vankar, I am developing organic indigo fabric designs, which will blend British and Indian heritage cutting techniques with a more minimal western fashion sensibility. I am cutting the patterns myself, experimenting with shapes and grains to maximize the impact of the traditional woven patterns. A level of technical sophistication is introduced through the use of cut, to contrast with the coarsely woven lightweight fabrics. Sample garments will be developed and manufactured in England and India. They will be recorded and photographed in order to promote the cotton products internationally. Trade press and specialist textile magazines have been approached to cover the project, to highlight the potential of this sustainable cotton to textile/fashion designers, buyers and manufacturers. 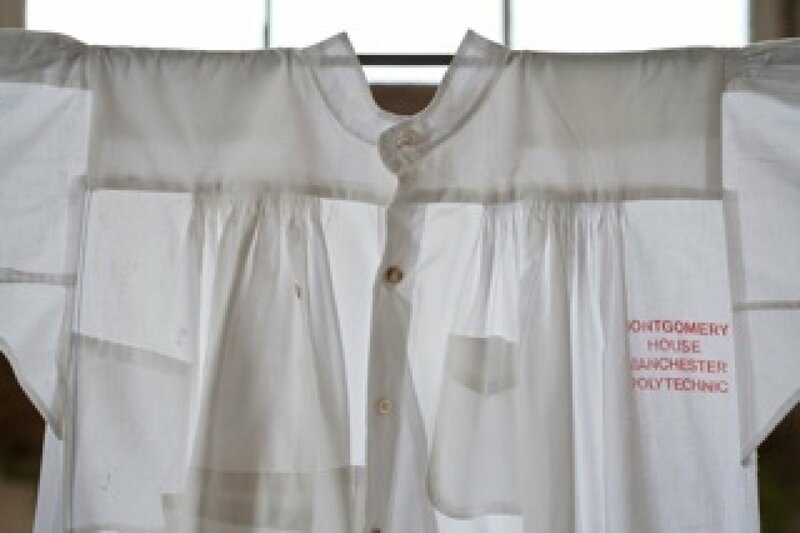 This project uses archive images of artists’ smocks as the catalyst for constructed textile narratives, which combine hand and digital stitching technologies to reference the history of Manchester School of Art. 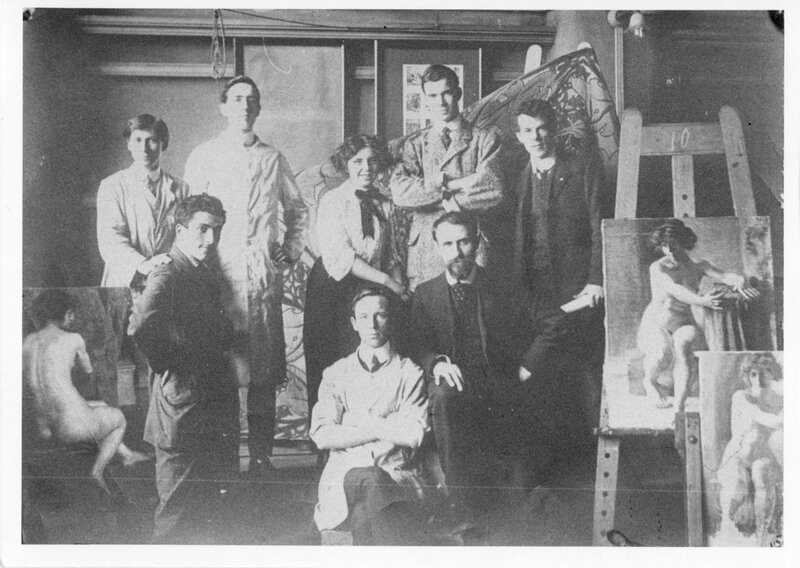 The archive photographs, dating from the 1920’s and 1930’s depict the original craft workshops at the School of Art, and contain an image of Adolphe Valette with one of his students, Charles Witham, wearing an artist’s smock. 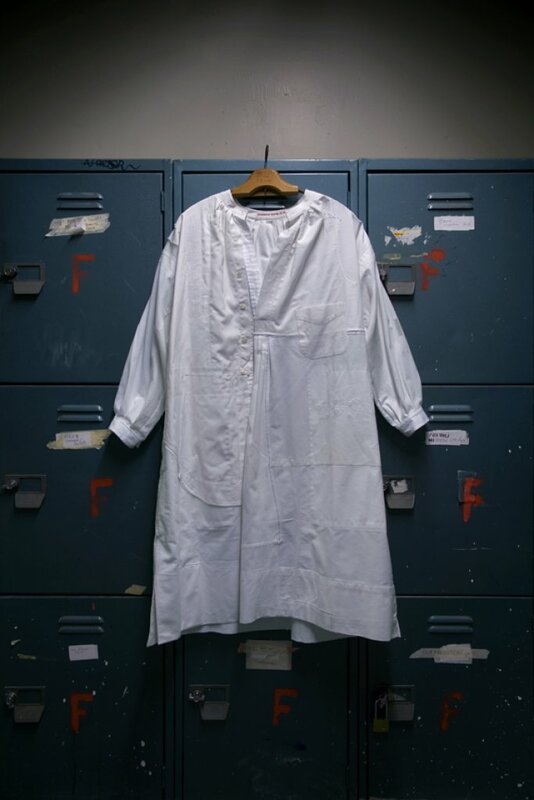 Further research surveyed literature regarding smocks created for rural life in Britain. Nineteenth century ‘Surrey Everyday Smocks’1, were particularly relevant, as these smocks were shirt-like in appearance and cut in a traditional English manner. The two pieces I produced, 1838 and 1900, combined the constructional details from these rural smocks with those of contemporary menswear. 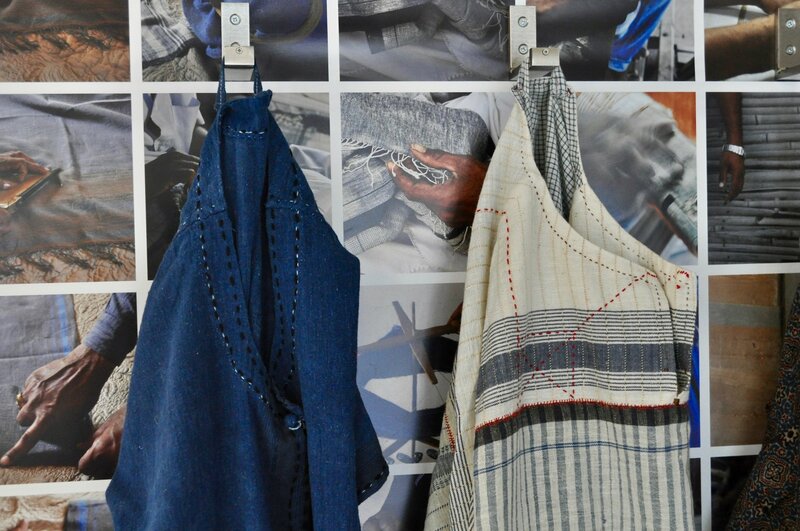 They ‘up-cycled’ carefully sourced fabrics, including formal shirts and re-claimed bed linen from the old Manchester Polytechnic halls of residence. 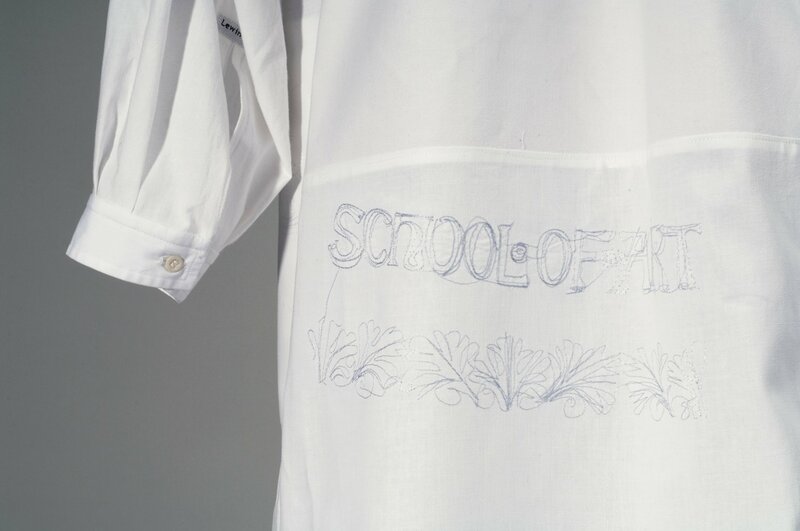 Specific detailing in the garments, such as the ‘Manchester School of Art’ embroidery detail was taken from the entrance to the Municipal School of Art Building (Grosvenor Building) and embroidered using Ethos software on the Brother digital embroidery machine. Additional printed imagery was sourced from the Special Collections archive. 1838 was exhibited at Art School!Historic Perspectives, MMU, March 2009, and was acquired for the Special Collection at MMU. 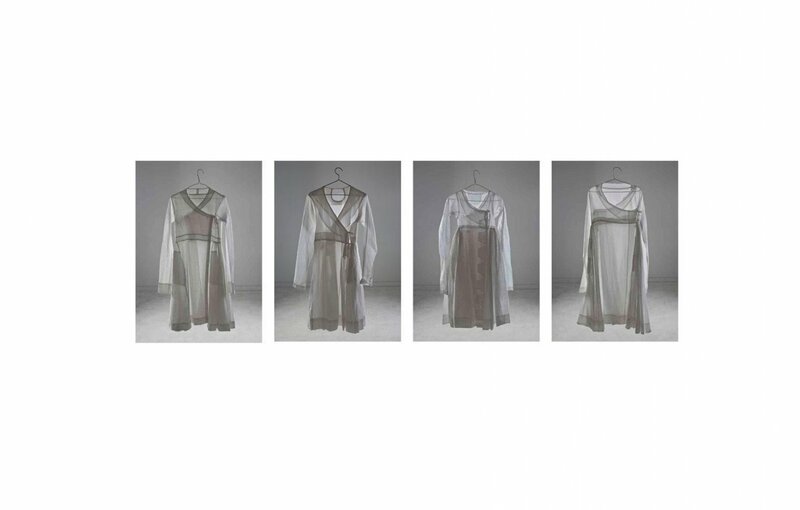 I was invited by the Central Academy of Fine Art, Beijing to exhibit at the 2012 Beijing Fashion Art International Exhibition at CAFA during Beijing Design Week, October 2012. This led to the development of the second work 1900, which was conceived as an installation piece (as opposed to the wearable garment 1838) and emphasized its ‘Englishness’ in response to the exhibition theme of ‘Home’. The work was undertaken within the context of the Pairings Project, which explored collaborative creative practice. Initiated by Alice Kettle and Alex McErlain at Manchester Metropolitan University, the aim of Pairings was to bring together makers from differing craft specialisms and institutions to work together on a joint collaborative project, in order to develop and expand their creative and research practices. I was paired with Claire Curneen, a ceramicist from Cardiff Metropolitan University. We produced a hand embroidered textile work and a digitally embroidered garment Shroud, which were exhibited as part of the touring exhibition Pairings. 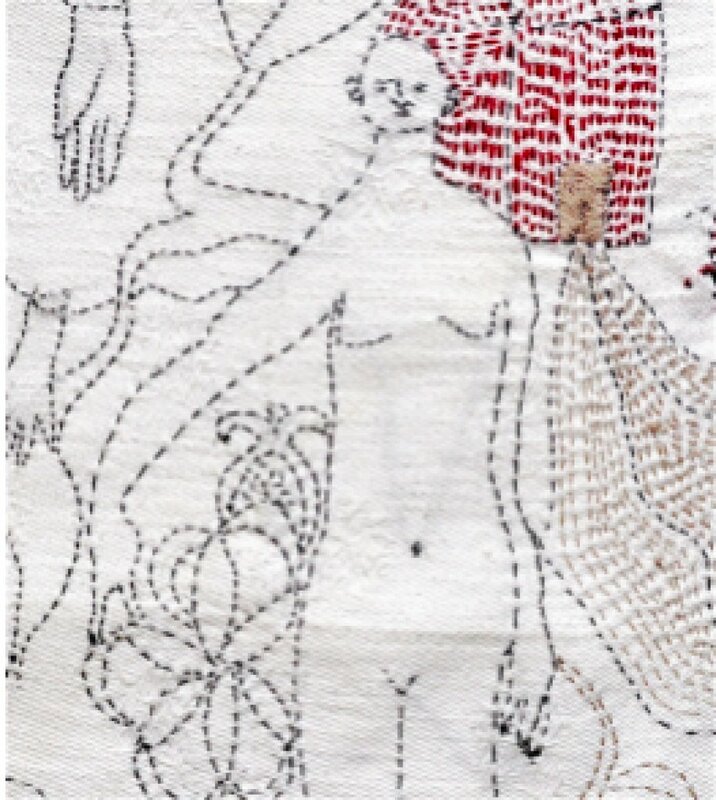 We set out to explore new ways of expressing figurative narratives in textiles, using traditional Kantha and contemporary digital embroidery techniques. I worked with Curneen to developed an understanding of their shared reference points, and investigated the common territory between their practices. 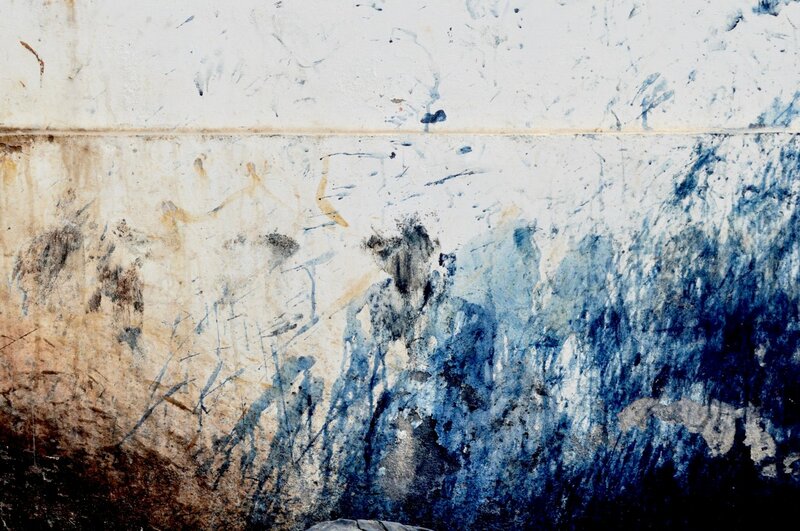 This territory proved to be narrative and figurative, in particular a shared symbolic use of hands, which both artists have used in their individual projects as a metaphor of manual collaboration. The embroidered pieces we constructed together also explored a shared interest in the work of Piero della Francesca, particularly the painting ‘Madonna del Parto’, housed in Monterchi, Tuscany. We communicated through the use of photographs and drawings to develop the imagery for the embroidery work. Drawings and designs were exchanged, and repeatedly re-worked. The final collaborative Napkin piece (above) was begun by Curneen and I completed the work utilising Kantha hand embroidery techniques. This was then replicated digitally onto a garment I constructed, using ApS-Ethos, Virtuoso Plus software. 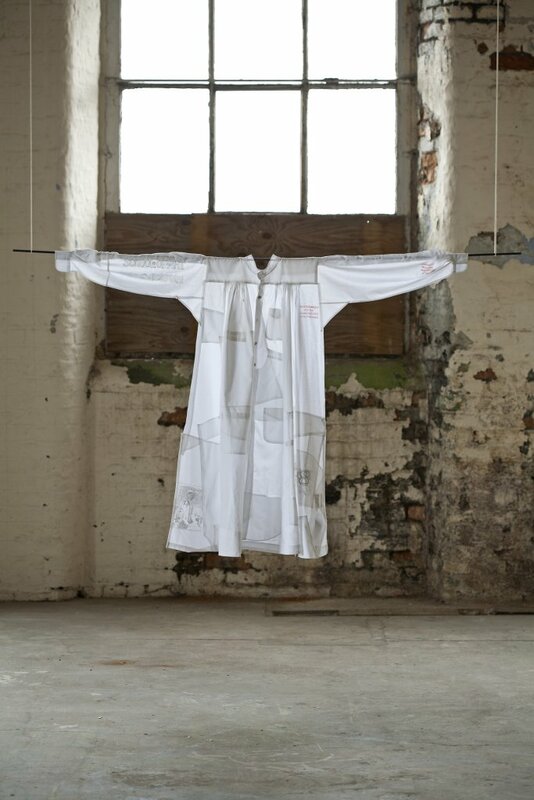 The hand-stitched artwork was translated into a mechanical design and stitched onto the Shroud garment, on a 12 needle Brother industrial embroidery machine, exploring the relationship between the hand made and new technology. 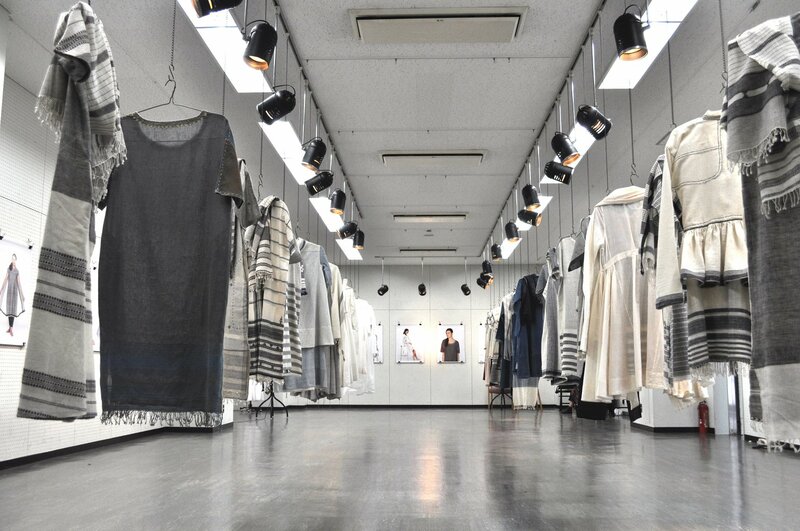 2014 Hand Made Exhibition BUNKA University. Tokyo.